Once your preferences are set, from any page on the app, tap on DRIVE NOW at the top of the screen. When you tap on DRIVE NOW, Mystro switches from 'offline' to 'online' mode and your preferred app is automatically opened and taken online. Secondary app(s) will automatically go online according to the Activation Delay. They will go online with the primary app if the slider is set to 0 minutes. If you have the slider set to a later time, say 10 mins, then the secondary app(s) will automatically go online after you are idle for 10 mins without a trip request from your primary app. If you want an app to never go online, turn off its use app with Mystro toggle. Keep your eyes on the road while you drive and let Mystro's Auto-Accept feature accept trips for you. 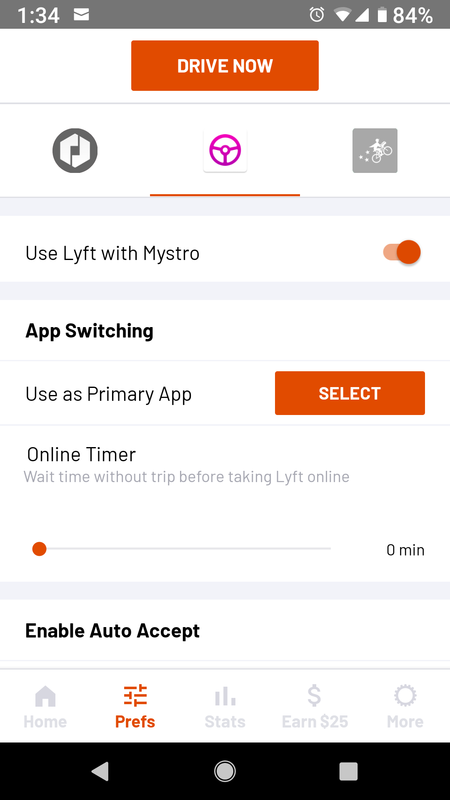 Based on your preference settings, Mystro will automatically accept only the trip requests you want, in less than a second. 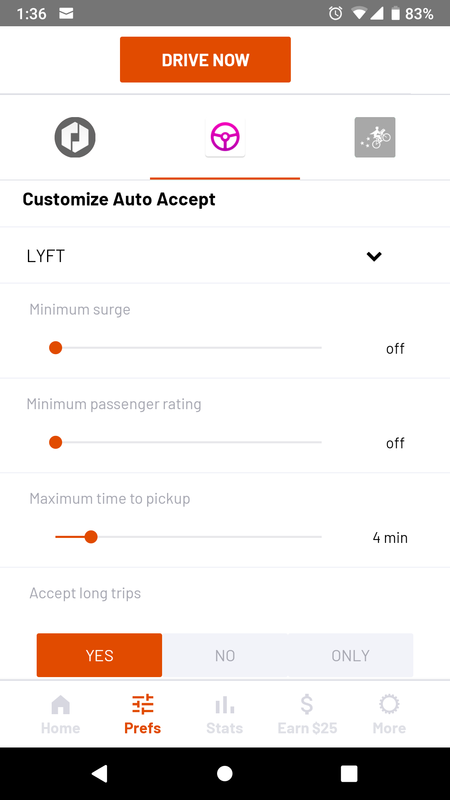 If you are also using the app switching feature, once a trip request is accepted by one platform, say Uber, for example, Mystro auto accepts the trip for you then automatically takes your secondary app off-line for you. If you have your on-demand app set to auto-navigate, then you will immediately be routed to the pick-up destination without ever touching your device. Once the trip has ended, Mystro will wait 15 seconds, then automatically bring your secondary app back online for you.